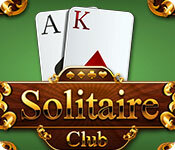 Solitaire Club is rated 3.5 out of 5 by 13. Rated 5 out of 5 by possumb from Excellent Game I like solitaire but I am not too fond of different versions - I just like old fashioned solitaire where 10 takes away 9 or 11 = you know what I mean/ Solitaire Club offers that and a little bit of extra; you have to sharpen your wits and I love it. Game challenges you to excel - which is great. Love it. Rated 5 out of 5 by raydog from Best Solitaire ever I love all these games but I love that you can buy backgrounds and cards for the games I have already loved! Thank you! Rated 5 out of 5 by kristidumplin from Another Golf game - but different! I saw this game and thought, "Oh, great - yet another game of Golf!". I was pleasantly surprised when I did the demo, however. Yes, it's a game of Golf - the one-up, one-down game many of us are already familiar with, but there are some rather nifty little bells and whistles I haven't seen in other games. For instance, you can buy different themes, backgrounds, and cards. You do that with money you earn with each hand. The more stars (up to three) that you win, the more money you earn. As you play, you achieve ranks, and even those ranks can be redeemed for moolah. You also are rewarded with trophies and those can be worth money, too. The game mechanics work very smoothly and it's a very pleasant game to look at, too - it's pretty - the polished woods are very nicely done. After you play a few hands, there is a wild card in every hand. You don't have to earn it - it's just there, in a random place, every hand. I always try to get the 3 stars at the end and the wild cards even come back when you retry or restart a hand! If you end a hand with 3 stars, you earn an "undo", too. So - it's a game of Golf, but with some pleasant extras that make it quite enjoyable and more fun than many others. Give it a go! 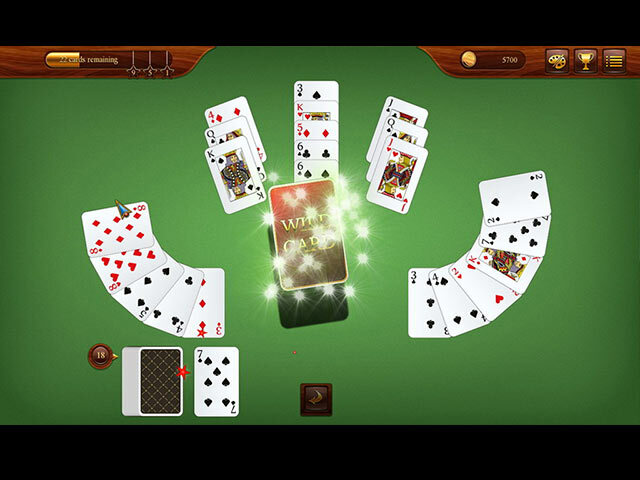 Rated 5 out of 5 by pennmom36 from Excellent Solitaire With No Gimmicks It's been a long time since a really good solitaire game has been offered. There's no story here, no flashy graphics, and really no gimmicks, just good old fashioned Higher/Lower Solitaire levels that start out on a green poker board. The object of the game is to place cards from the board onto the foundation deck that are either one higher or one lower than the last card placed. There is a meter at the top that tell you how many matches must be made to score 1-2 or 3 gold stars, every time you score 3 stars, you will receive an extra Undo feature. Every level has a Wildcard hidden, and there is a foundation card counter icon, but that's really about it, no fancy gimmicks at all. There are 84 levels available, and you will earn coins depending on how many stars you earn. You can replay levels as often as you want, and I liked the fact that each level is clearly displayed with the number of stars you earned, so you easily know which one's to replay for a better score. As you progress, you will "Rank Up" starting with Rookie followed by Novice, Gamester, Talent, Card Shark, Hustler, Challenger, Ace, Winner, Champion, Solitaire Master and Solitaire Star. You will also receive coins for each Trophy Achievement you earn, but you have to go into the Trophy room and accept or redeem the coins. The coins are used to purchase 18 different themes, such as backgrounds or card themes, including themes from Zombie Solitaire and Atlantic Quest, enjoy! Rated 3 out of 5 by verimeri from ordinary The only redeeming feature this game offers is a choice of backgrounds. 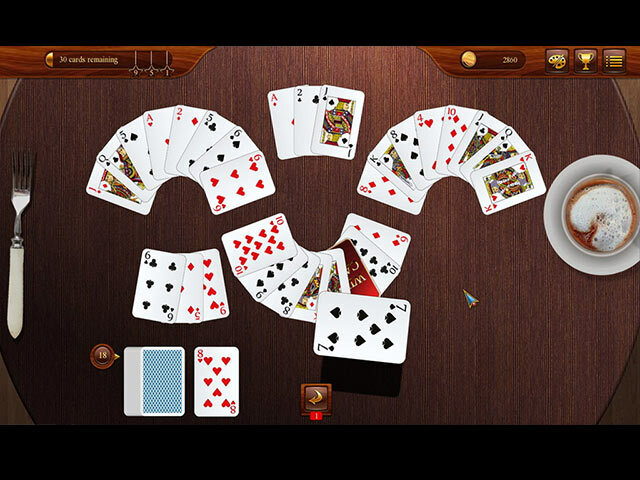 Other than that it is just up/down solitaire level after level. Pretty boring. Rated 3 out of 5 by emollie26 from Good & not so. I played most of the demo. Game seemed ok, so purchased it. Visually, it's crystal clear. Game play is smooth. No glitches up to now. Other gamers, have given excellent reviews - as always - so no need to go into that here. Just a couple of niggles: When I click on a Wild Card, to put it to one side, I'm unable to carry on playing, until that's done, which spoils the flow. Also, I've been unable to find a shuffle option, which would be really helpful. Frustrating, too. 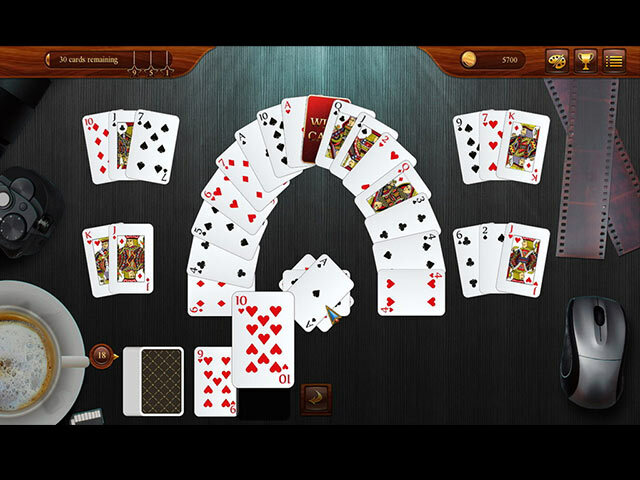 as some hands are left with only one row of cards. I have to remove one at a time, plus use most/all of wild cards, which defeats the object of a Solitaire game for me. I doubt I'll play it again. As a good, old fashioned Solitaire, I do recommend it. Definitely give the demo a try. Rated 3 out of 5 by fredandethel from Rather dull solitaire Based on half an hours play: Standard pick higher or lower cards solitaire. Strictly limited wild cards and undo, which means one mistake can mean you can't clear the table, which is the only way to get another undo. Earned coins can only be spent on different backgrounds and cards. Far Kingdoms Sacred Grove Solitaire has similar limited wild cards and undo, but is much prettier and has a more achievable level of challenge.